Batteries from Samsung SDI and Japan’s Murata are used for Samsung Electronics’ Galaxy Note 8. Products from China’s ATL, which is Samsung Electronics’ long-time partner, have not been used again for Samsung Electronics’ Smartphones. It seems that partnership between Samsung Electronics and ATL is becoming distant after recall of Galaxy Note 7 that happened last year and that Murata is replacing ATL’s position. According to industries on the 20th, it is confirmed that Samsung Electronics has decided to use batteries from Samsung SDI and Murata Manufacturing for its new Smartphone called ‘Galaxy Note 8’ followed by ‘Galaxy S8’ that was released during first half of this year. Samsung SDI and Murata are going to be responsible for supplying 80% and 20% of 3,300mAh batteries that will be used for Galaxy Note 8. However entire initial supply of batteries will be supplied by Samsung SDI. Murata Manufacturing is a business that acquired SONY’s battery business in 2016 and is the number one business in global MLCC (Multilayer Ceramic Condenser) markets. China’s ATL is devastated again as Samsung Electronics has decided to use batteries from Samsung SDI and Murata Manufacturing. Samsung Electronics has not used batteries from ATL for ‘Galaxy S8’ and ‘Galaxy Note 8’. ATL has been a partner of Samsung Electronics for more than 10 years. ATL’s batteries were also used for Galaxy Note 7 that was released last year. Industries are predicting that Samsung’s replacement of its battery supplier is happening due to ignition of Galaxy Note 7 that led to discontinuation of Galaxy Note 7. Samsung Electronics pointed out defect of batteries as the cause for ignition of Galaxy Note 7 in this past January. At that time, Samsung announced that ATL’s batteries caused ignition due to irregular asperity welding, unattached insulation tape, and thin separator. 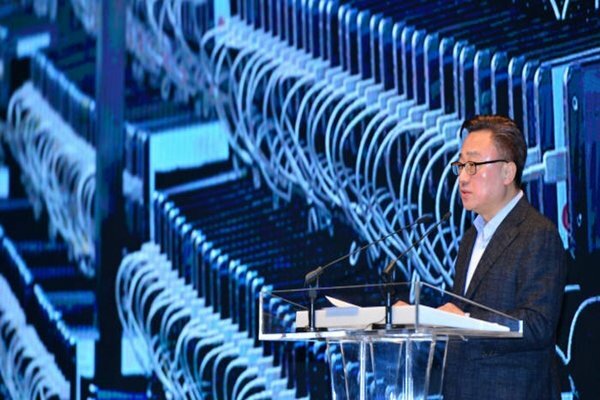 It is heard that Samsung Electronics had maintained partnership with ATL even after ATL’s batteries caused ignition of Galaxy Note 7s and was looking into adding Murata Manufacturing as a battery supplier. However it is heard that ATL was ultimately removed as a battery supplier of Samsung Electronics as Samsung Electronics and ATL had different views when it came to establishing solutions to prevent recurrence of ignition of batteries. Samsung Electronics greatly upgraded its quality management system such as 8-point battery safety inspection after it had gone through hard time due to ignition of Galaxy Note 7. Although it is relatively easy for Samsung SDI, which is Samsung Electronics’ biggest battery supplier for Galaxy series, to make investments and to cooperate according to Samsung Electronics’ guidelines, it is different from ATL’s point of view. ATL is currently the number one business in the world when it comes to polymer batteries as it has been supplying batteries to Apple for more than 10 years. It seems that Samsung Electronics will use batteries from Murata Manufacturing instead of ATL for its premium Smartphones that will be released after Galaxy Note 8. It is heard that Murata is also participating in supply of batteries for Galaxy S9 that will be released during first half of next year. As Samsung Electronics decides to use batteries from Murata, it now has to raise production capacity and quality of Murata Manufacturing to the level of ATL. Although SONY’s battery business, which was acquired by Murata, became the first business in the world to commercialize lithium-ion batteries in 1991, its status in small battery markets has gotten lower recently.